Updates on my progress with Thelema, especially for those who are encouraging me with my path. 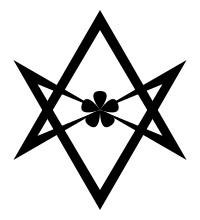 No personal info, or at least not much, but I what my beliefs are and I will include a booklist and websites for those seeking to be Thelemites’, Hermeticists’, Theurgists’ or Alchemists’. I am only just starting to combine over a decades worth of theory and practice together, so don’t take my word on anything as I am due to make mistakes along the way. The list below are the rituals I perform daily or weekly. I haven’t listed all of the rituals I do, such as mantra, because those kinds of rituals are personal and very secret. Over time I will add more once I have mastered the basic outline of harder or more elaborate rituals. I also try to meditate when I can’t fit in yoga, and vice versa. The yoga traditions I follow are Kundalini, Hatha, Bikram, Ashtanga-Visyana and combine them with my old Rising Crane Kung Fu stance practice. (I’m a bit of a fitness bunny). I study yoga too, mostly Kundalini, Tantra and Hatha and recently Raja yoga. Hermeticism is my heart. Thelema is my soul. Mysticism is my body. Welcome Brothers, Sisters and all others. Robert Anton Wilson is my favorite teacher. He explains Aleister Crowley in simpler and more exiting terms and he is the reason that I read so many of the latter’s works. There are so many other great teachers out there, but for me there has to be a sense of wonder as well humor in their published works. Bhagwan Shree Rajneesh and Douglas Hofstadter would be two great examples.